I absolutely love this vintage card. It's so cute and so unusual! 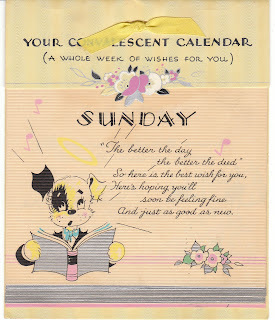 It's a 1940's greeting card with a dog motif, and it functions like a "get well" calendar. 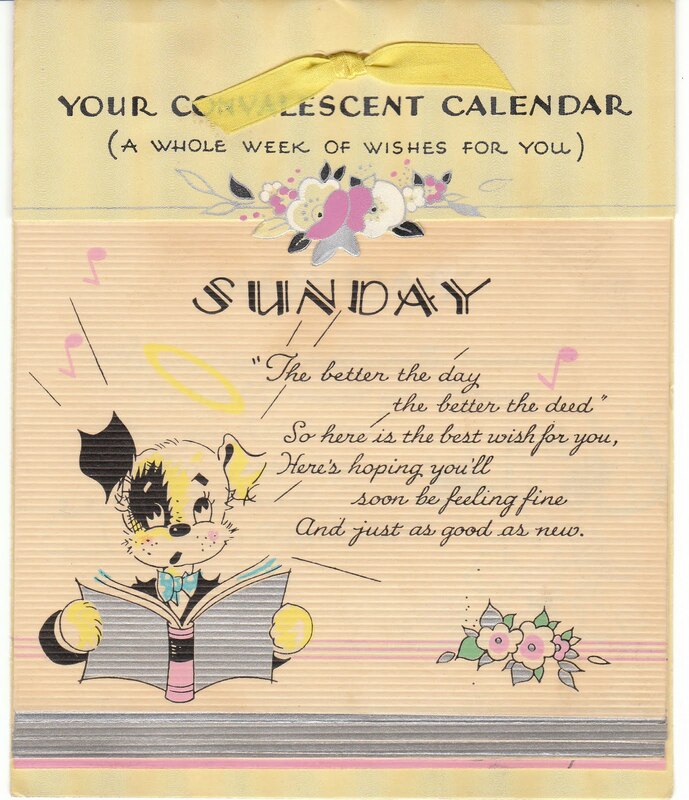 There is a page a day for each day of the week, Sunday through Saturday. The illustrations on each page are so super, super cute. I have a box of vintage dog themed cards and photos that I'm working on right now ... there are some treasures!